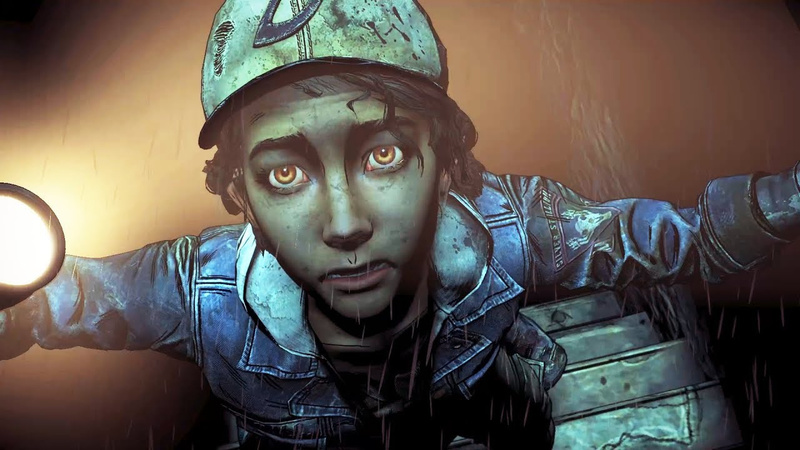 The second episode of The Walking Dead: The Final Season launches tomorrow on PlayStation 4, but following news of Telltale Games' demise, the season's third and fourth episodes were effectively cancelled. It seemed as though fans would never get to see how the long running series ends, but in a rather miraculous twist, the developer has stated that there may yet be hope. Posting on Twitter, Telltale Games says, "Multiple potential partners have stepped forward to see The Walking Dead: The Final Season through to completion. While we can't make any promises today, we are actively working towards a solution that will allow episodes 3 and 4 to be completed and released in some form." At this time it's unclear who these "potential partners" could be, so if this really does happen, it'll be interesting to see who's stepped in to save the day. Who knows, the publicity that the studio and property have garnered from this ongoing saga may end up being the driving force that the last two episodes need in order to become a reality. As always, we'll let you know if there are any further developments. I'm thinking Gearbox might be one. Either way I really hope it does get completed cos I refuse to believe they would just leave it there, I mean most of the groundwork for the final two episodes must have been nearly done at this point with it's plot already laid out. This whole debacle has made me reflect on the series as a whole, and I think things really fell apart around episode 4-5 of season 2. I'm nearly inclined to just look at Season 1 as a stand alone story honestly. For the sake of completion, I hope the last two episodes get released, and as a season pass owner, it'd be nice to know the work done by the former Telltale employees didn't go to waste. In any event, I think any interest I had in the Final Season is lost now. I wouldn't be at all surprised if they released it as a graphic novel instead of a game. And if not, surely there's always Kickstarter? I hope not, I despise Gearbox and their lack of ethics. But I guess you might be right, it is possible. The more I think about this, the more I think it could actually turn out to be an ok thing for the gamer. The "Telltale style" games clearly have a place in the market, and properties like The Walking Dead and The Wolf Among Us are surely too popular to just be scrapped completely. It's certainly awful for those who's jobs were lost and I feel for them. However, I'm hopeful we'll see a different publisher/new dev team pick up the pieces and get this genre back on track. Despite people mentioning Dontnod, this ought to be a lesson to them to not run before they can walk. They've announced a lot of projects recently. @Bad-MuthaAdebisi Gearbox is a good choice, they are good with this style of game and they could be interested in Telltale's IP. @adf86 Dontnod are brilliant with chapter based games but I don't think they are a big enough studio to handle life is strange 2 and a telltale game. @Matroska Nope. Kickstarter is the place where IPs go to die. @roe Dontnod working on "a lot of projects"? They're working on two different games, one of which is Life is Strange 2. @Kidfried they did Vampyr last year as well though. 3 games in a year is quite ambitious imo. What a kick in the teeth for the staff laid off the other day. I hope they'd at least use the profits to pay back the employees that suffered from their collapse. If not then there's no way I'd support this, personally. @roe But it's two games in a year. Because the new game is releasing next year. And they didn't release anything in 2016 or 2017. I'm betting on THQ Nordic. They seem to have a knack for getting the right deals for these kind of things. @MaseSco THQ Nordic won't stop until they've acquired the right to every word known to man. @Rhaoulos Kickstarter brought us stuff like Wasteland 2, Divinity: Original Sin, Pillars of Eternity and a new Torment game. Besides, TWD used traditional publishing... And died. Kickstarter is more like where series that died go to get resurrected. Why is the season pass still up for sale on PSN? I hope the season gets wrapped up because I’m not starting it till it does. I really liked the previous two seasons and it’s spin offs Michonne and A New Frontier, so hopefully this season gets the ending it’s fans deserve. In other TWD news, if your in the UK and a fan of the tv show, season 9 starts on 8th October at 21:00 on FOX channel. I came across it last night when it advertised while 24: Legacy was on a break. Never pay for something that doesn't yet exist. These are businesses, and businesses fold regularly, even the big boys.